When I reached out to Coach Hause and asked if he’d be willing to sit down for a chat about youth baseball he replied immediately and said he’d do anything he could to help. 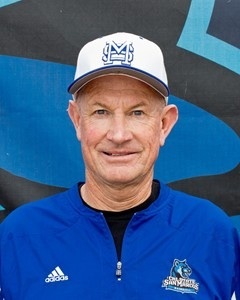 Coach Hause is the pitching coach for California State University San Marcos, which gained NCAA status last summer and was recently approved for Div II candidacy. He is one of the best and most knowledgeable pitching coaches in the region, known for his keen ability to evaluate and develop players at the professional, collegiate and high school levels. Needless to say, I jumped at the opportunity to glean some of his insights for The Rusty Arm readers. 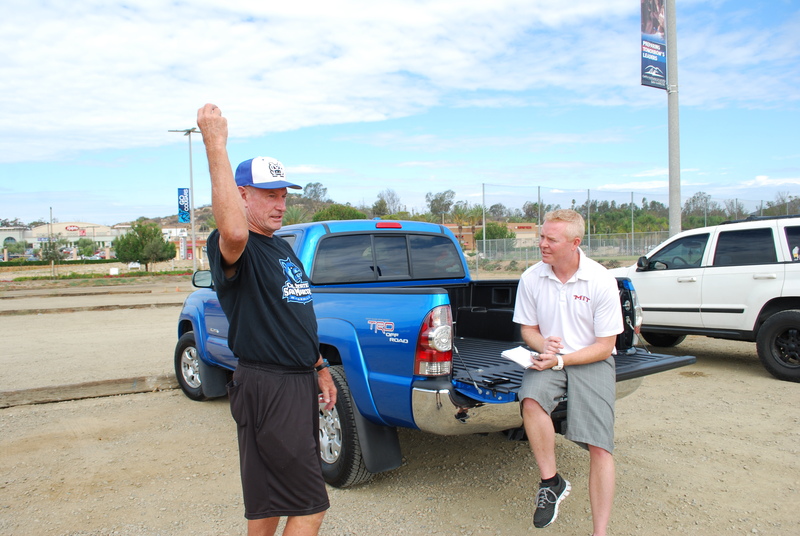 I pulled up to the parking lot of the CSUSM baseball field on a fall morning and found Coach Hause there waiting for me. 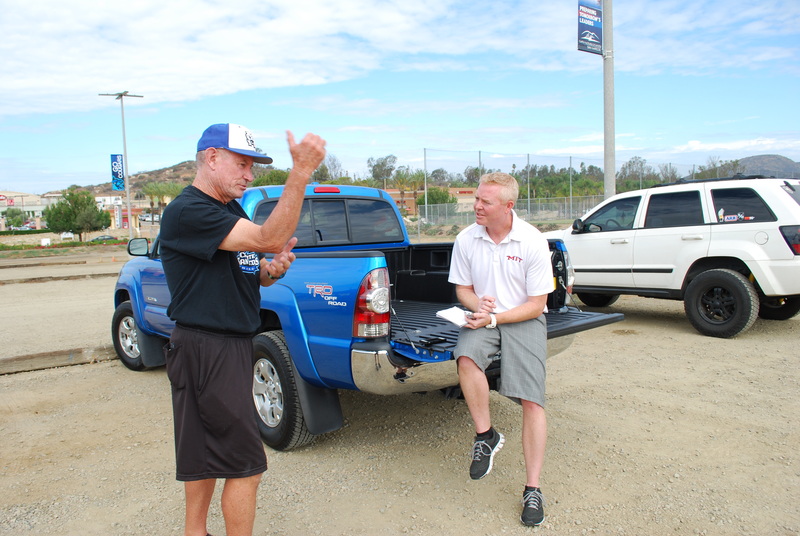 We sat on his truck’s open tailgate and had an hour-long conversation about youth baseball on everything from how to develop young arms to what he looks for when he recruits. A lot of what he said surprised me . . .
TheRustyArm: Most of my readers are parents like me with kids in youth sports. Some of us played sports ourselves, but things are really different now. I think we could all use some help understanding how to navigate youth sports from guys like you. My first questions is when you’re evaluating high school players, what are you looking for? 2. A real desire to compete. TheRustyArm: Young pitchers today can throw pretty hard. Do you look for velocity, control or quality of pitches? Coach Hause: I’ve scouted a lot for professional teams over the years, and the most important thing I look for is pitch ability. Because I think you can develop pitchers over the years. But the one thing that’s really difficult to sustain and develop — even at the professional level — is command and pitch ability. And I think that we are losing sight of that in youth sports because we’re telling kids to throw hard, throw hard, throw hard. So the kids maximize every pitch. Rick Peterson and I talk some times. (He’s the Director of Pitching Development for the Baltimore Orioles.) And one of the biggest things we talk about is that today it seems like nobody knows how to keep things in the bank. I don’t know if you learned to do that and when or where you learned it. But the pitchers I grew up with . . . the Palmers, the Marichals . . . they didn’t maximize every pitch. They maybe threw 5 pitches per game at their max. This is just a theory of mine, but I think that all the emphasis on max effort and speed when kids are young may contribute to them getting hurt later in their careers. That’s because it’s often only after kids sign and they get into a college program that they’re being taught to throw in the strike zone, and even better to pitch with command in the strike zone. So they end up doing different things with their arms late in the game. They haven’t developed their arms that way all along. They’re changing their mechanics because the mechanics they have learned is just to throw hard. The kids don’t know how to incorporate their lower bodies. They don’t maintain everything in proper kinesthetic sequence. And they get hurt. TheRustyArm: What are one or two things you think would surprise parents to know that you look for in a player? Coach Hause: There are two things that constantly surprise parents. 1. I don’t look at how hard players throw as a major aspect – especially at the collegiate level. 2. When you evaluate a player at the high school level, statistics don’t mean anything. There’s way too much emphasis on statistics. Parents want to show me stats. But guess what? It’s apples and oranges. Because I don’t know if your son pitched against 6 of the worst hitters I’ve ever seen in my life or 6 of the best hitters I’ll ever seen in my life. So I don’t care about the stats. I think we “over mechanics” kids. Especially when the kids are young. I don’t believe in talking to them about mechanics and having them approach sports with their left brain. I’m a big right brain person. I really believe that we just DO. Kids are thinking too much way before they need to think. And somehow what’s happened is that we’ve stripped the fun out of youth sports. I used to take all my kids – my own kids, the neighborhood kids and the youth teams I coached – I’d have 20 to 27 kids out there – and I’d take them to the high school field and we would just play for four hours on Sundays. Out of those kids, we had 6 or 7 ADs and 9 or 10 coaches. The whole group went and played college or professional baseball. And all we did was just play. Every now and then I’d say you might want to hide your hand. Or I’d set up a tee and my best hitters would work off it. And what would the other kids do? They’d follow. But I never had to tell them much. They just went and did it because kids model better than they follow instructions. And they did it because they liked it. They were having fun! When we get kids thinking too much, they’re not having fun. TheRustyArm: With how competitive youth sports have become, what can parents do to make sure their youth player is having fun and staying well rounded? What do you recommend? Coach Hause: I say until the kids show – at 10 or 11 or 12 – a real interest in playing only one sport, let them play everything. I recently read an article that said worldwide soccer organizations always want American goalies. And the reason is because they’re more athletic because they played multiple sports. I think it’s something like 80% of professional players in any of the major sports played all sports. They’re just more athletic that way. I would say to parents even if they don’t like hearing it . . . kids shouldn’t specialize too soon. I just don’t want to see any sport become a job to a kid. I don’t think their individual performance should be the primary focus so soon, for many reasons. One big one is, I have kids who come to play at the college level and have no idea how to compete as a member of a team. The team aspect of team sports is gone. When they have a game and you ask them how you did, they say, “I did this and this.” No, when I ask how you did, I want to know how the team did. But kids have become so focused on themselves. They show up, they give their two at-bats. They keep track of their stats, and then they’re done. I guarantee baseball would be more fun and so much more valuable for them if instead their focus was on being one part of a team. TheRustyArm: What can young kids do to build arm strength and condition themselves? Coach Hause: I would just say, “Throw, throw, throw, throw.” I’ve had 4-5 of my youth players go all the way and play in the big leagues. What they did when they were young is they were always throwing. My son just said to me recently, “Remember when we just threw the baseball from 7 in the morning until 4 in the afternoon?” You throw. You don’t throw hard. But you throw all the time. I’ve been really fortunate because none of my players have ever come to me without a Tommy John who’ve had to have one. But I don’t think there’s one real solution to keeping an arm strong and healthy. You can limit innings. And I saw a medical report the other day talking about the difference in release point from here to there making a world of difference. If they release the ball up here vs. releasing the ball just a little bit lower, it helps a lot. So make sure they’re in their release point when their foot gets down and that they use their lower half. If everything is falling open, that’s where your stress point comes. It’s that kinesthetic chain. I think that’s what kids used to have that they don’t have now. Combined with the max effort thing. And I know it’s hard to get away from the max effort thing because that is how people scout and how people sign. If I have somebody who throws 92 the majority of the time, I’m gonna take a look. If he throws the majority of the time at 89 not so much. But I think you have to develop that with lots of throwing over time vs. just telling a kid to throw his hardest every time. TheRustyArm: How and when do you teach kids to throw curve balls? Coach Hause: I use a hammer ball. You can put your hand on the ball and the hammer part sticks out. So you learn how to throw a curve ball without manipulation. You thumb the ball out. You can also tell them to put three fingers on the ball and throw it like a football. Then gravity does the work. And there’s no manipulation. If you’re doing it right, you’re going to be okay. And percentages matter. Don’t throw a lot of them. Also, work on command first. Throw two different fast balls. A two-seam and a four-seam. Throw naturally without pushing the ball. Figure out how to get the ball to go where you want it. If you can do that, you can win. I remember that my son threw in the backyard all the time. And he broke a couple of neighbor’s windows doing it. But that’s how he learned to put the ball where he wanted it. So if you’re a parent, play catch. But insist that when they throw, they have a spot. Talk and laugh. But always come back and focus. Have a spot. That’s huge. Teach them to learn how to hit their spot. If kids want to play, they’re going to spend the time to get better. But it has to come from inside them. TheRustyArm: Do you see kids who do everything you’re saying and have tremendous potential still not play high school ball? Coach Hause: Yes. But I think it’s because they never wanted to and didn’t want to tell their parents. And you can understand it. If you got tossed in the car every weekend since you were “this big” to drive an hour and a half and go play baseball under pressure and critique, that’s not fun. That’s a job. And it becomes a job at home because the family’s having to constantly evaluate the investment you’re making in it. You have to keep asking, “Is this worth it?” Because you’re all investing so much. You know, the best part about baseball is that it’s a game where you might just have failed at your last attempt. But you get to get up there knowing you’re going to succeed at the next attempt. Trouble is when you overwhelm kids with pressure, they develop a fear of failure. They play scared. And it inhibits them. I’ve had kids here who could have been drafted, but who panic when scouts come to see them. They’re afraid they might embarrass themselves. Or dad is putting such high expectation pressure on the kid, there’s no way possible to live up to it. The kid is all focused on himself. So there’s no fun. And there’s no team aspect. It’s all about me and my performance. I encounter that more and more now. And it’s hard to get around because most kids are pleasers, and from early on in this sport there are tangible results that matter. They matter to coaches. They matter to their parents. Even if you mitigate that for them, they know. 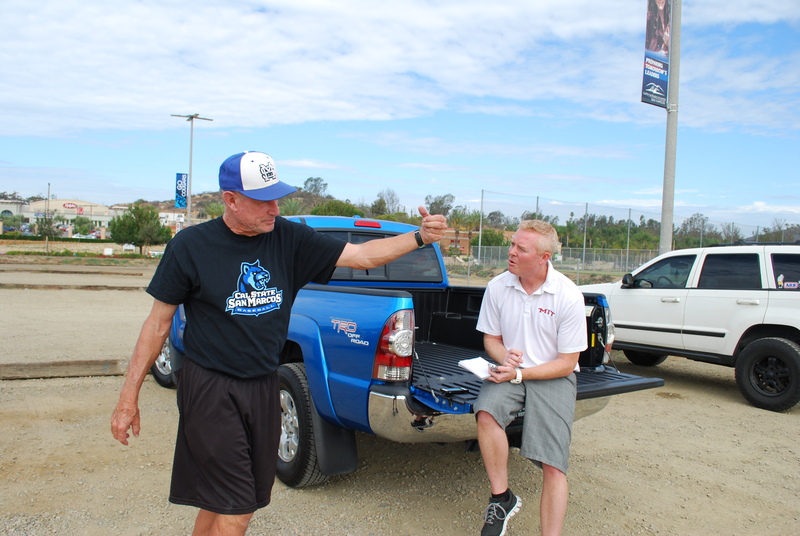 TheRustyArm: Do you have kids play for CSUSM who don’t play for their high school first? Who maybe just played travel ball? Coach Hause: Great question. I can maybe think of 2 that came into the program, and I cut them. They aren’t usually as progressed as the other kids. And usually when I ask them why they didn’t play high school ball, they say I didn’t like the coach or the coach didn’t like me. And I don’t want any part of that. Now, you might not make the high school team till you’re a senior. You might not have had a lot of play time in high school. You might be a late grower. And that’s okay. That shows me tenacity. Actually, I had a kid play for me who played only 2 innings in high school. He redshirted for me his first year, didn’t play much his freshman year, sophomore year we were still polishing, junior and senior year he was one of our best pitchers. We had another kid who was a little lefty. He was a control guy. He came as a walk on. Second year we gave him a partial scholarship, third year he got a lot more, fourth year he got a full scholarship and he pitched really well for us. He was never gonna be a pro guy. Too small. But, he got a full ride his senior year and had a great run. I know now days there might be kids who choose to play travel ball instead of playing for their high school team. And they might still have ambitions of playing at the college level. But I think the reality is if you’re good enough to play at the college level, you should make and play for your high school team. And there’s tremendous value in that for them as players and as people. It teaches them what it’s like to be part of a community and to compete for a spot. They need to know that. TheRustyArm: What else do you want parents to know? CoachHause: On the ride home after a game just tell your player you enjoyed watching them play. And don’t analyze. I had an epiphany once when I was coaching my son’s high school team. I was waking him up one morning and the first thing I was saying to him had to do with baseball. And I thought, “This has to stop.” It worked out for me to be his coach. But, sometimes they need you there as a parent – not as a critic or a coach. And I decided that at home I wanted to be a dad. Otherwise, there’s just too much anxiety there. Also, I read somewhere that there are something like 43,392 kids who play high school ball every year. And all their parents think they’re going to get a college scholarship out of baseball. But there just aren’t that many spots. Trust me. Have them study because there are a lot more academic scholarships available. I don’t know how much you got out of Coach Snow at CSULB? TheRustyArm: I was a walk-on. I have to extend a big thanks to Coach Hause for being so candid in our interview. I found him to be a really knowledgeable coach and all around great guy. Lefty would be lucky to play for a coach like him.